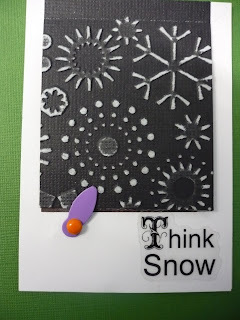 I am doing a calendar challenge which I saw on another blog - you make a 1-1/2 inch square for each day of the year and at the end of the month put them on your blog for all to see. Tomorrow I shall find out how to link up to the other blog so you know what I mean. But for today I am going to try and upload the other ATC photo. I'm clicking the 'add image' thingy on here and nothing is actually happening - well I'm off now and will try again tomorrow..... It's on it's side again - will try do something about it tomorrow! !